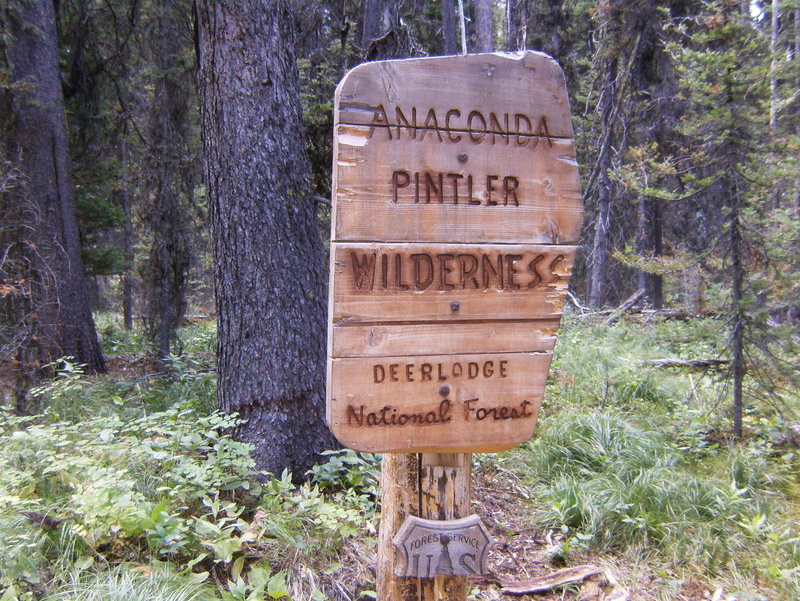 The Anaconda-Pintler Wilderness is about 250 square miles of the Anaconda Range straddling the Beaverhead, Deerlodge, and Bitterroot National Forests in southwest Montana. 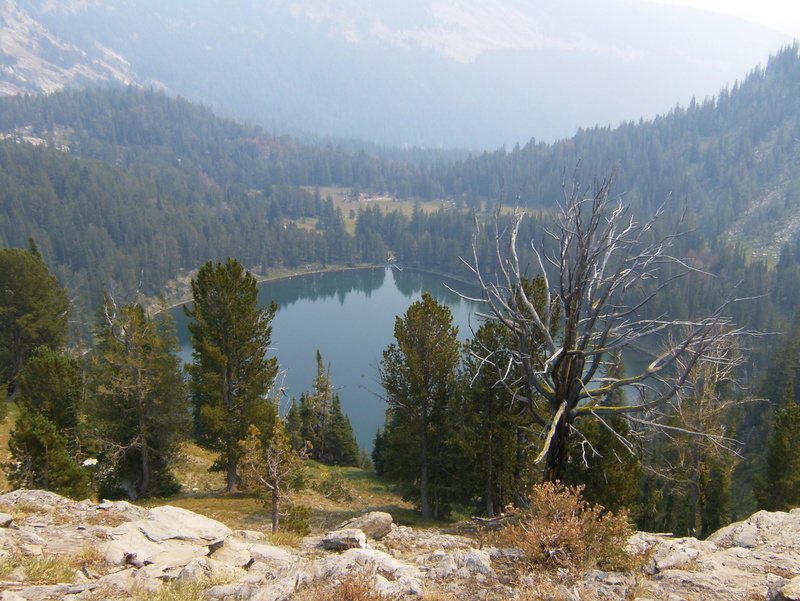 It features countless trout-filled lakes, many peaks over 9000′ with a few over 10000′, and about 280 miles of trail (including 45 miles of the Continental Divide Trail). 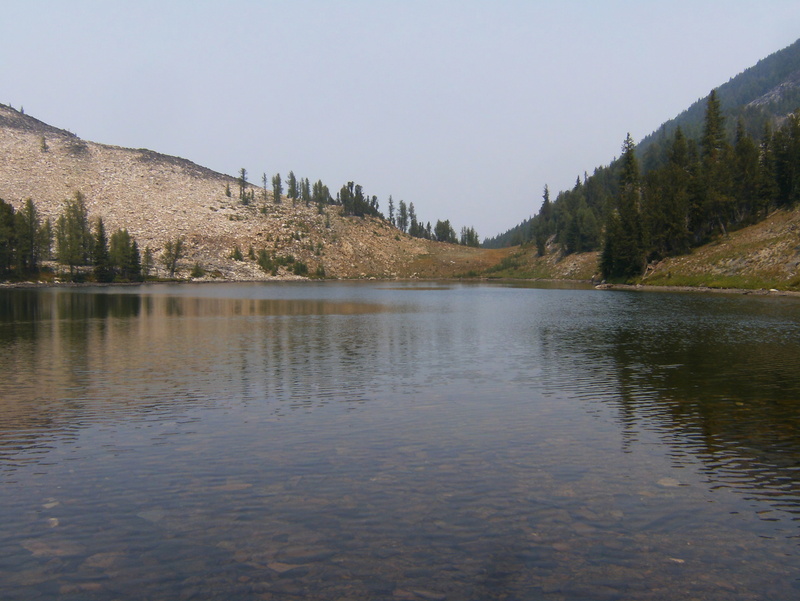 It’s also the site of my latest adventure – the longest and most remote backpacking trip yet. 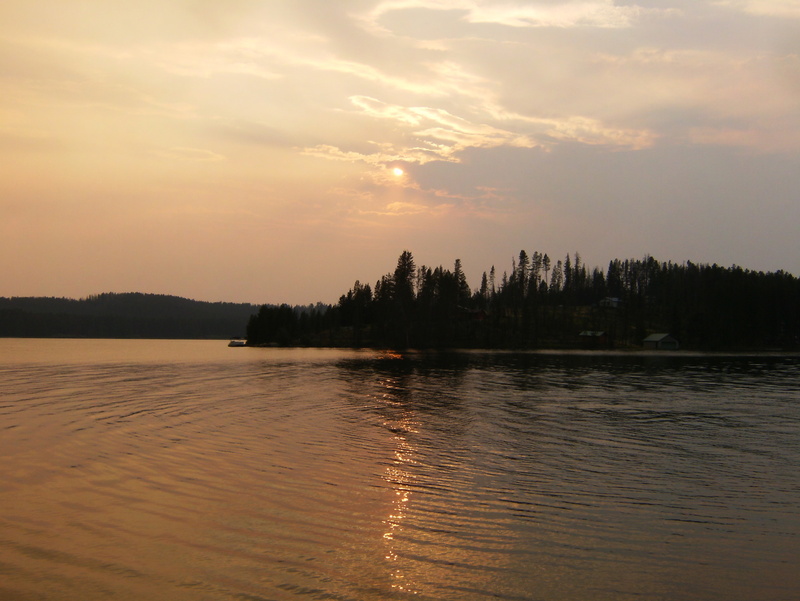 Our last night before heading into the wilderness was spent in the Lodgepole Campground near Georgetown Lake. 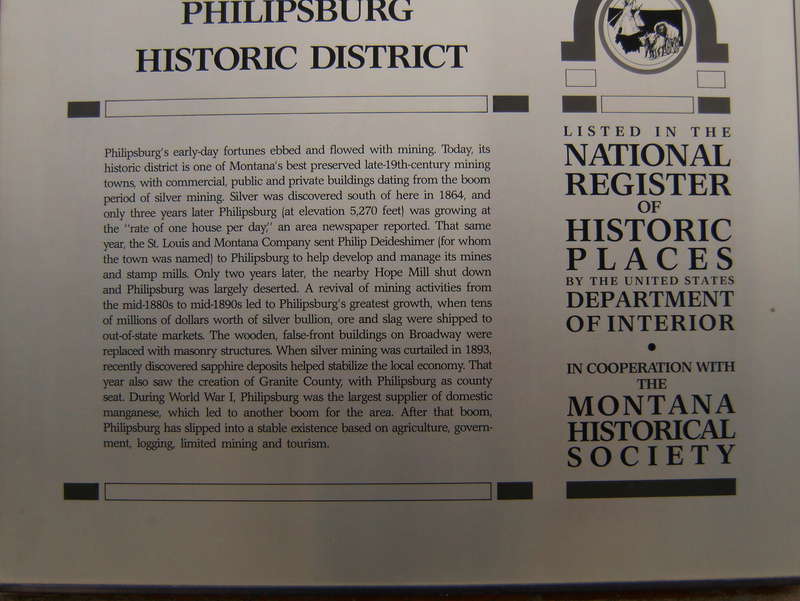 We spent the afternoon in nearby Philipsburg, an old mining town that is undergoing a renaissance/gentrification. “The hippies are moving in” is how the old-timers describe it. 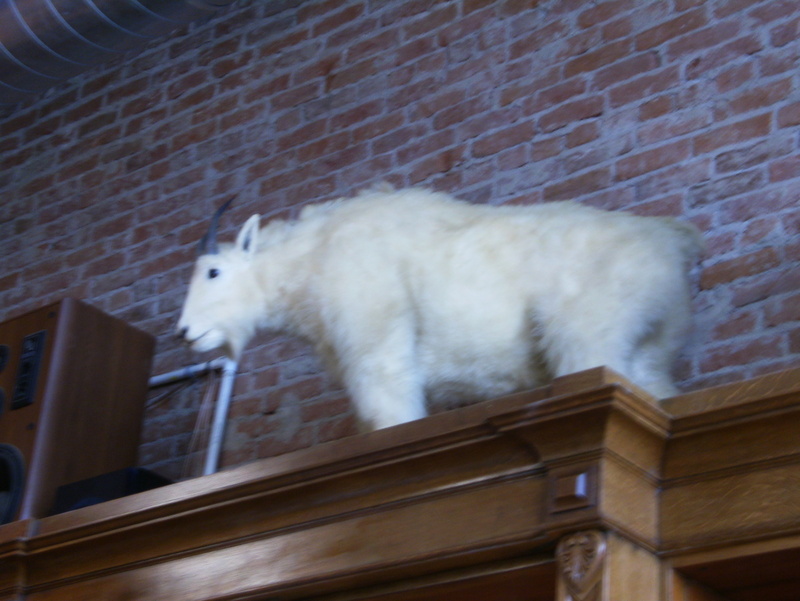 It was here, in the Philipsburg Brewing Co that we saw the only Mountain Goat of the whole trip – and it was stuffed. 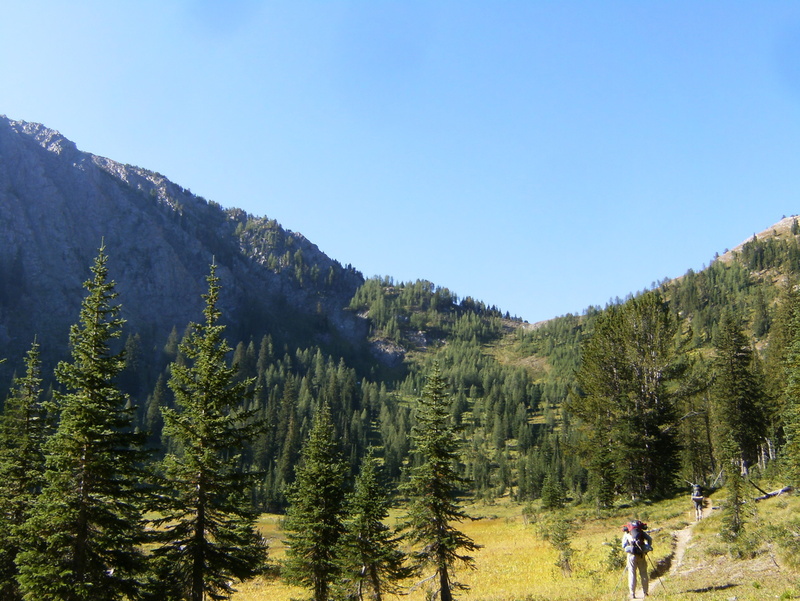 In the morning we headed for the Middle Fork trail head, a drive culminating in 15 miles of dusty gravel on FR 5106. Oddly enough, this road gets better as you go in further – the reduced “maintenance” means less washboard. 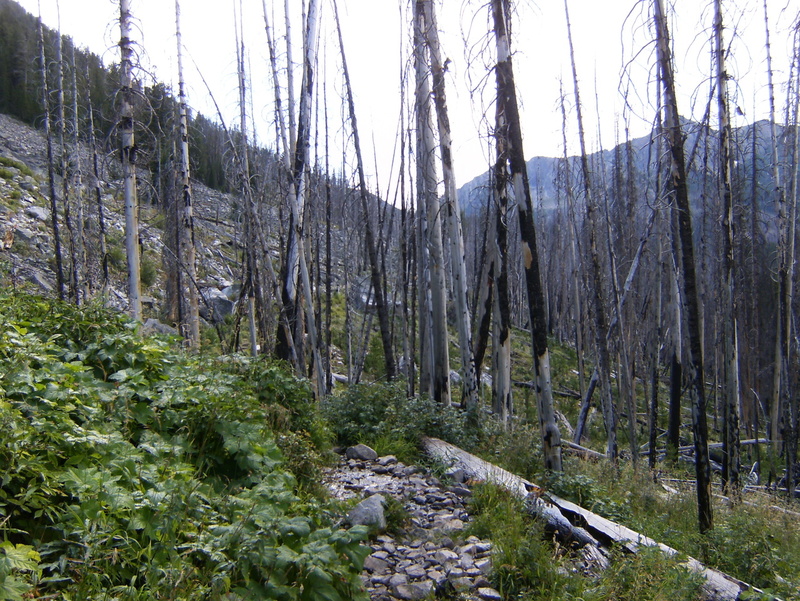 We started by heading up to Johnson Lake where we spent the first night. 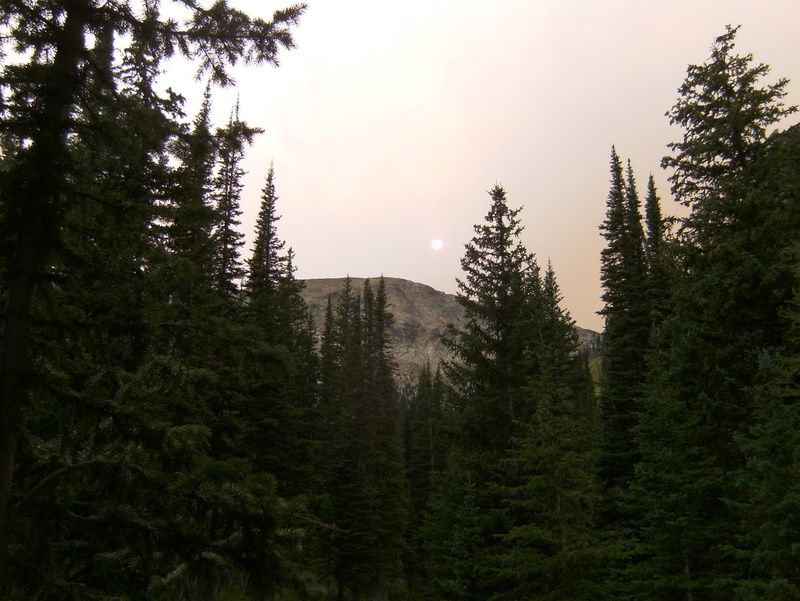 On day 2 we went over Pintler Pass (and the Continental Divide) to Oreamnos Lake and set up camp. 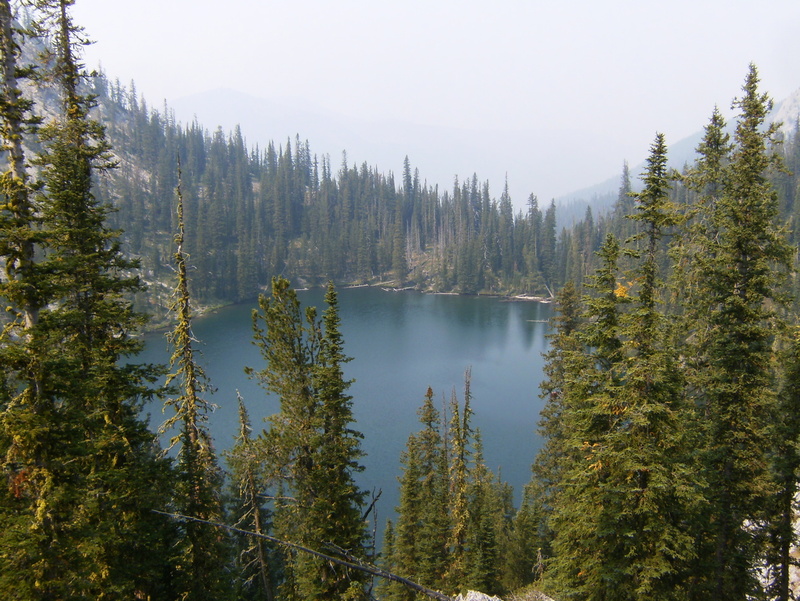 On day 3 we day-hiked over to Sawed Cabin Lake and back, then explored an unnamed lake above and to the west of Oreamnos. On day 4 we made our way to Upper Phyliss Lake, where I got to play in some snow. On day 5 we hiked out to the trail head and started for home. The weather was nice overall, with one morning near 38 degrees but the others were mid-40s to low 50s. 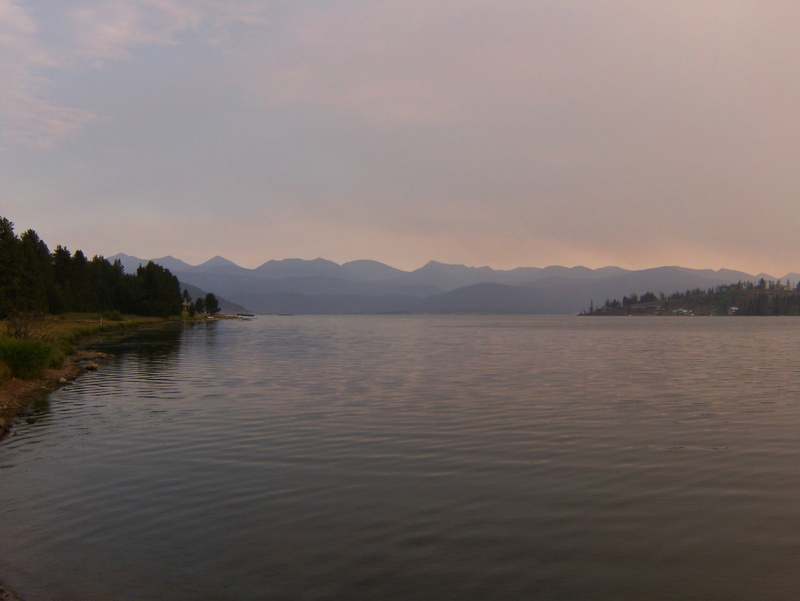 There was little cloud cover but we did have varying amounts of smoke from distant fires and even had ash falling on us at times. 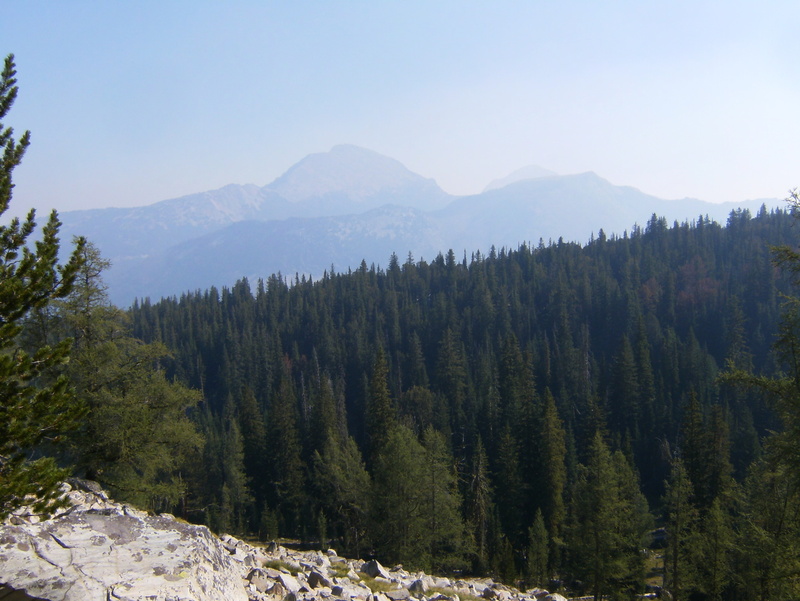 The smoke sure irritated my sinuses and spoiled some of the views. Wildlife was scarce. 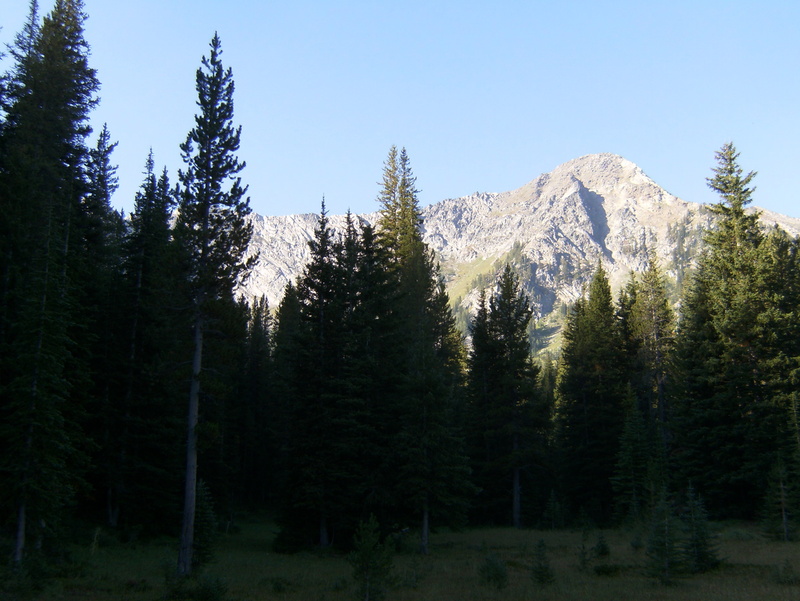 One person saw a fox in the meadow before Pintler Pass. A couple of us saw a weasely-looking thing (Marten or Fisher?) near an ice field above Upper Phyliss Lake. 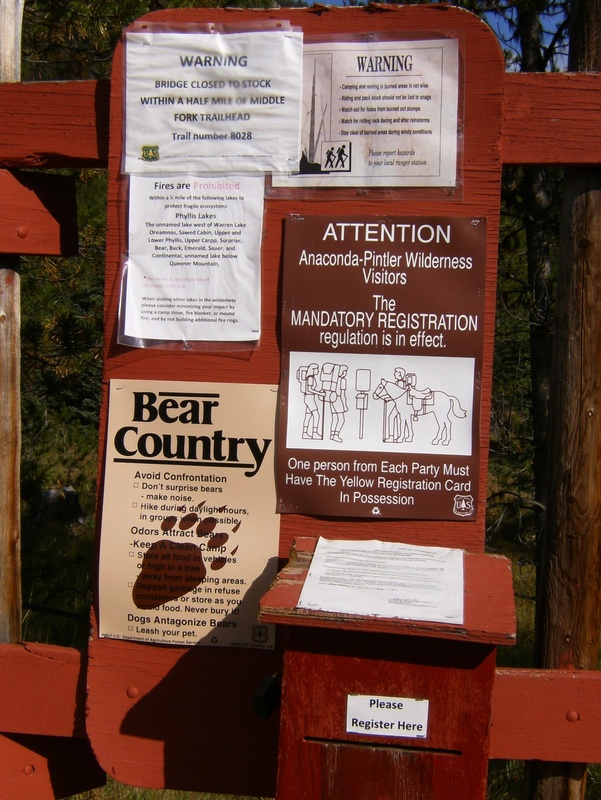 No mountain goats, no bighorn sheep, no elk, no bear (other than tracks), no big cats. I don’t remember even seeing deer. We wondered if the smoke drove them all away. People were also scarce, though nobody minded that. 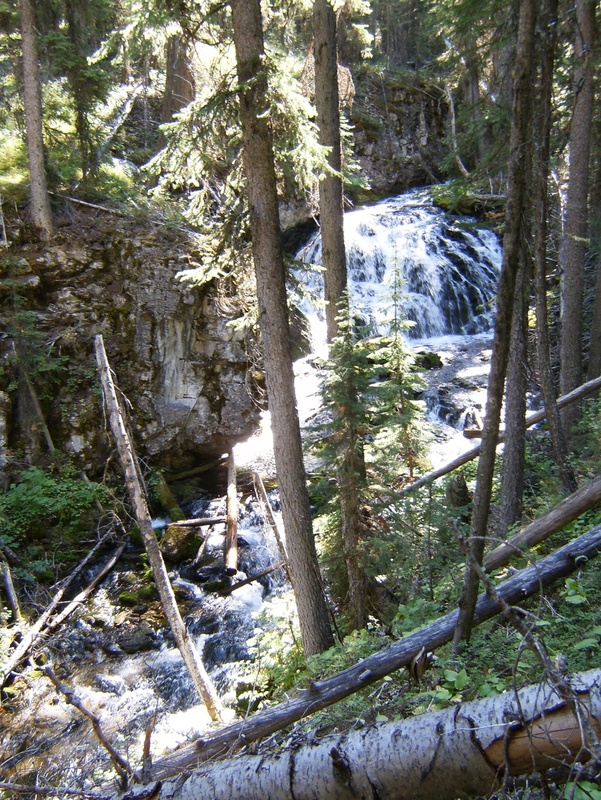 On day 1 we met a couple day-hikers at the trail head and again at the second waterfall, then later at Johnson Lake a couple backpackers passed our camp. On day 3 at Oreamnos we saw a couple people with horses and maybe a couple others that stopped for water. One the way back we had a couple pretty nice dinners. 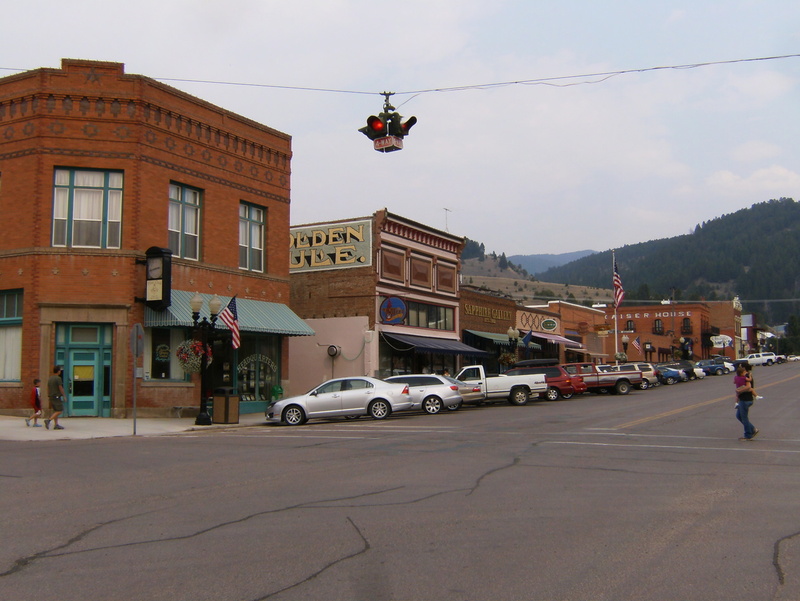 One at Ciao Mambo in Billings MT and the other at Corona Village in Mitchell SD. Both coming and going we spent a night in the KOA campground in Billings MT, next to the Yellowstone River. It’s the first one that was built and the nicest of the 4 I’ve seen so far. 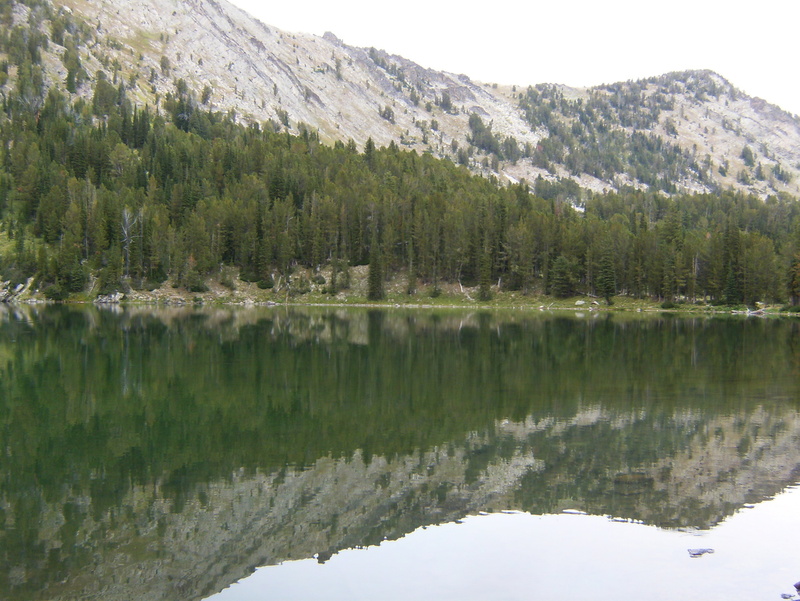 I think this trip checked-off another item from my to-do list: to be somewhere so remote that it couldn’t be reached via a day hike (Sawed Cabin Lake). 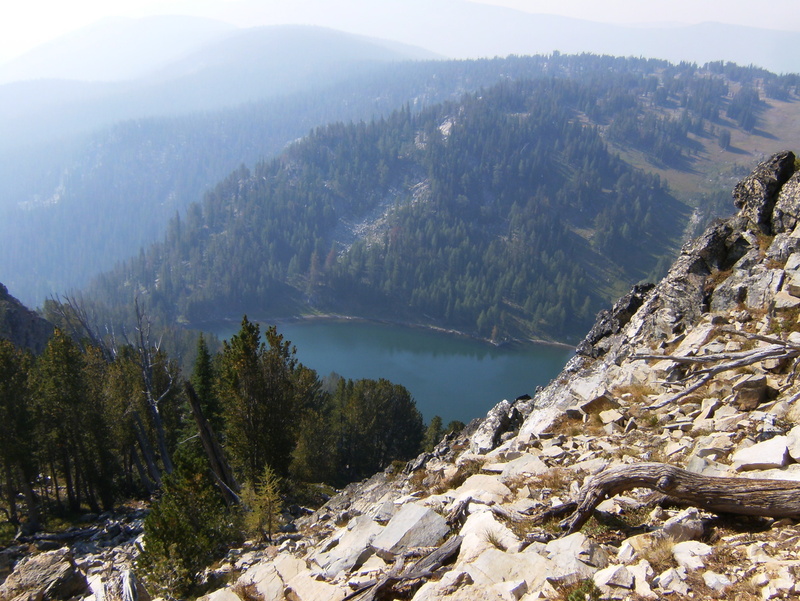 The Missouri wilderness areas are too small to really escape but the A-P was certainly big enough. 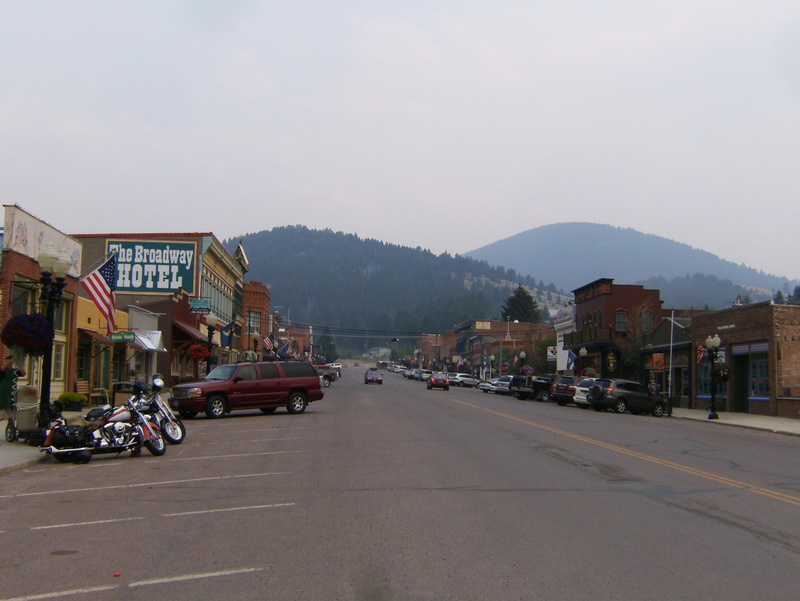 I still fantasize about a couple weeks or more in “The Bob”. Coming back to the B.S. of normal life left me depressed for about a week – the worst post-trip blues I’ve had yet. The weather is starting to feel a bit more autumnal around here so it’s time to start thinking about some more trips closer to home – in the Ozarks and maybe even another to the Ouachitas. My next big trip might be in Virginia next year. Philipsburg Brewing Company had the only Mountain Goat we would see the whole time. It had a thoughtful, almost bemused expression. I don’t know if that’s typical. 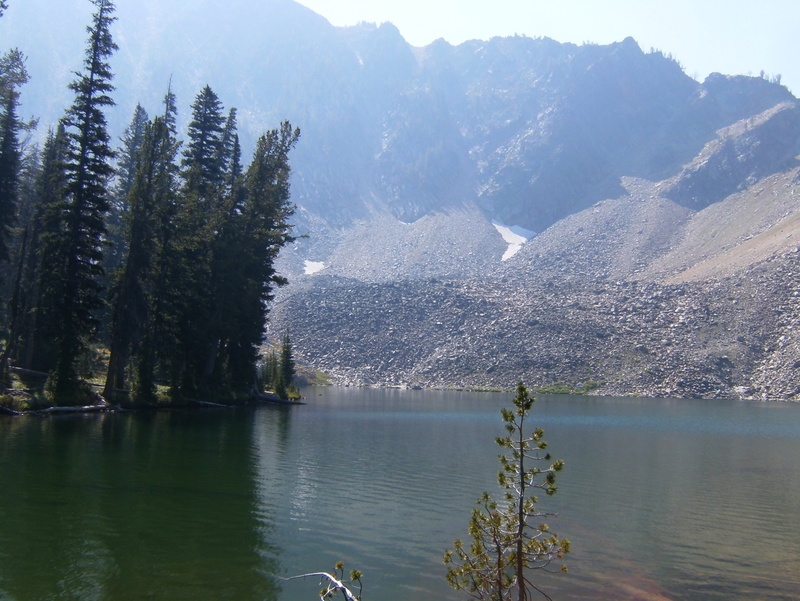 Looking back across Sawed Cabin Lake at the slope we scrambled down. We went out by a longer but less-steep route. 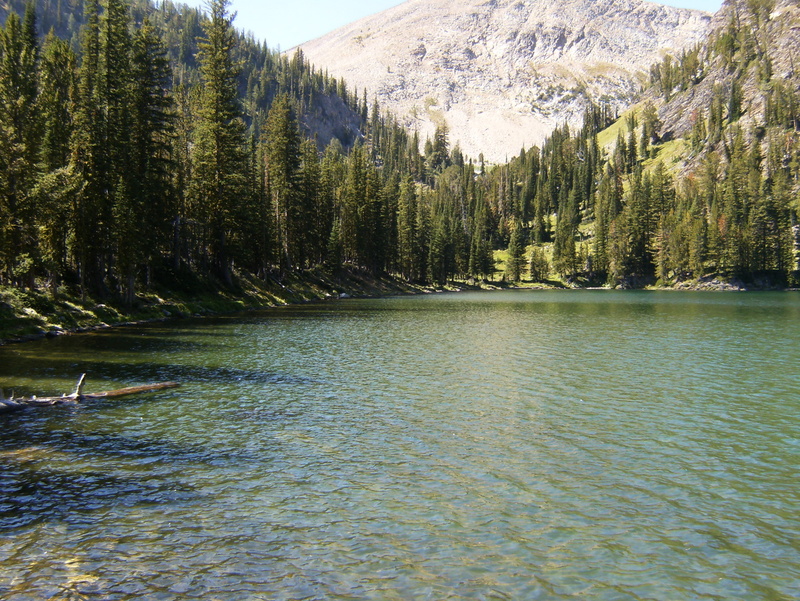 Upper Phyliss Lake. 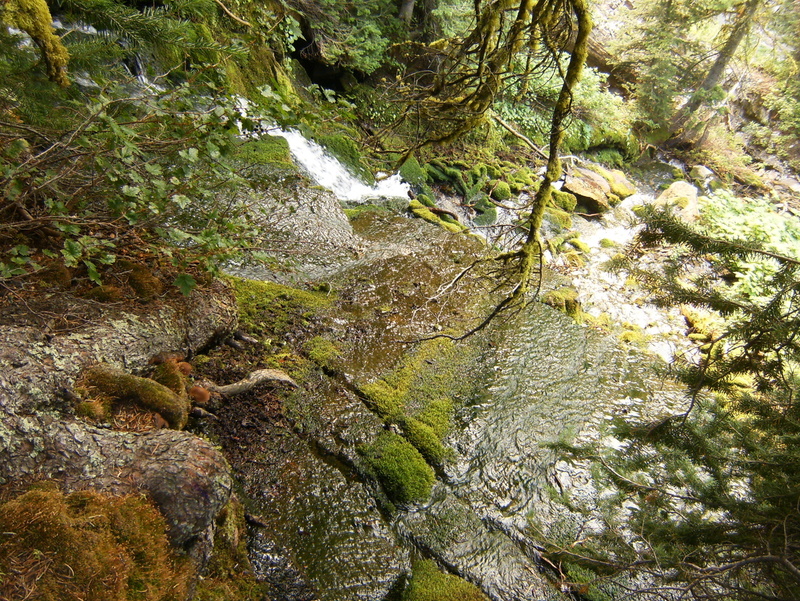 This is fed only by snowmelt and rain. We saw quite a few hungry trout. 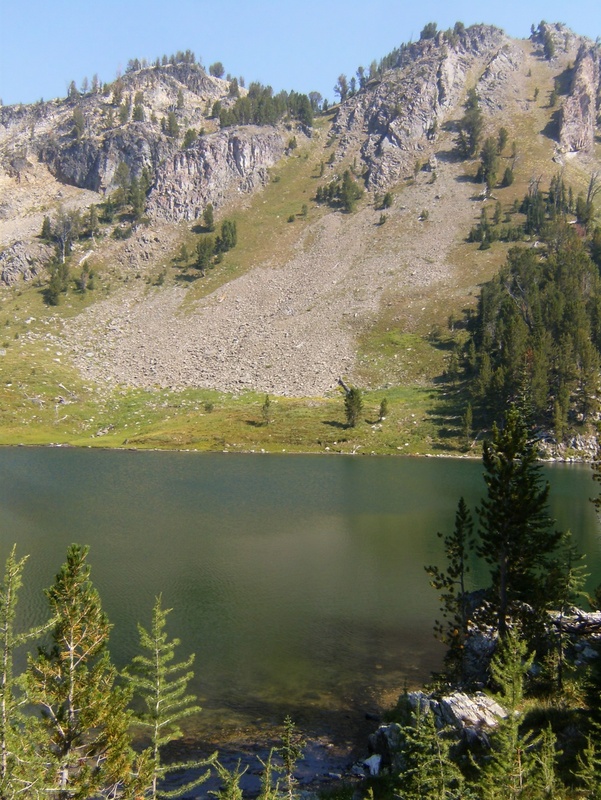 Lower Phyliss Lake. 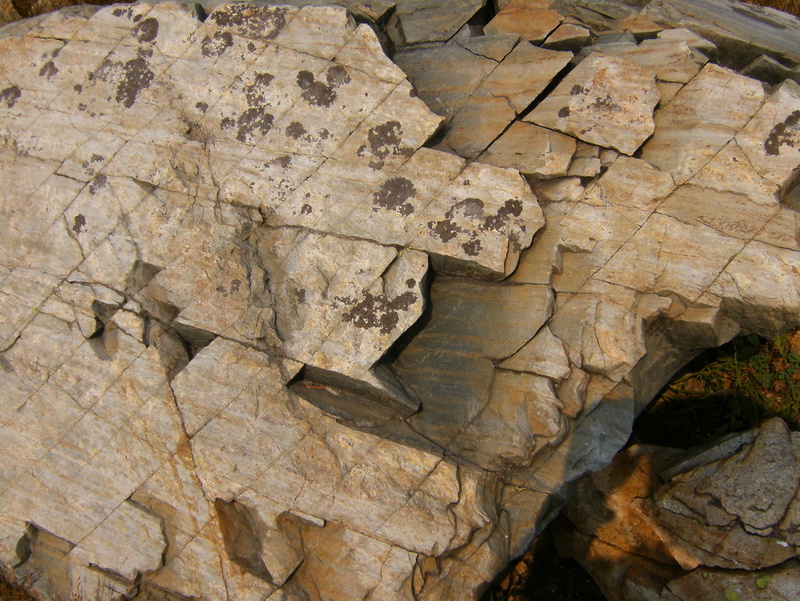 It’s hemmed-in on three sides by steep terrain and is probably reachable only from below. 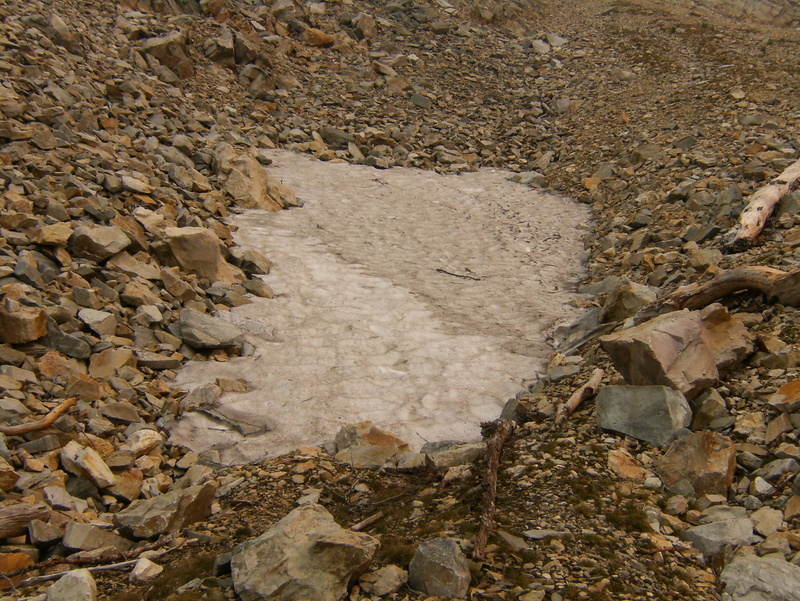 Getting up-close and personal with one of the snow/ice fields above Upper Phyliss Lake. This was probably 10 feet wide and about 50 feet long. Maybe 5-8 feet deep in the center. I was tempted to make a snowman but just made a snowball instead. 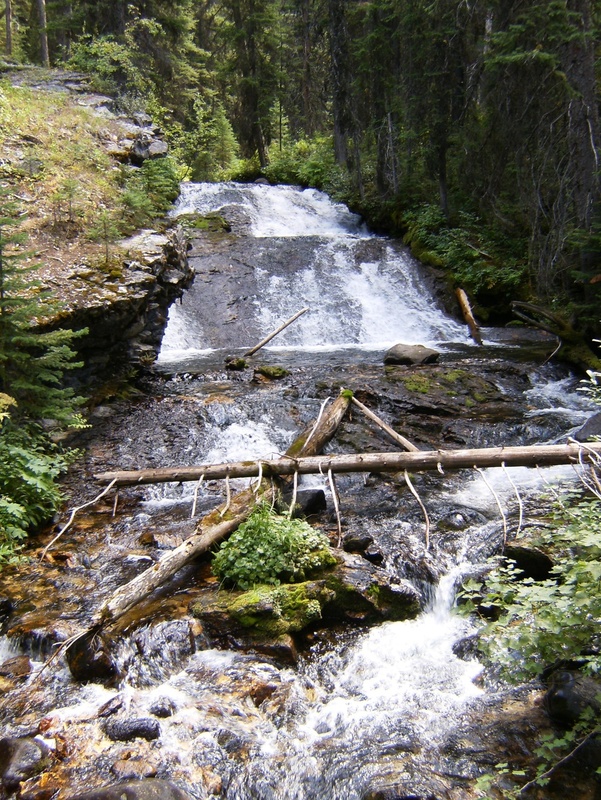 This entry was posted in Uncategorized and tagged Continental Divide Trail, Hiking, Montana, Rocky Mountains, Travel. Bookmark the permalink. 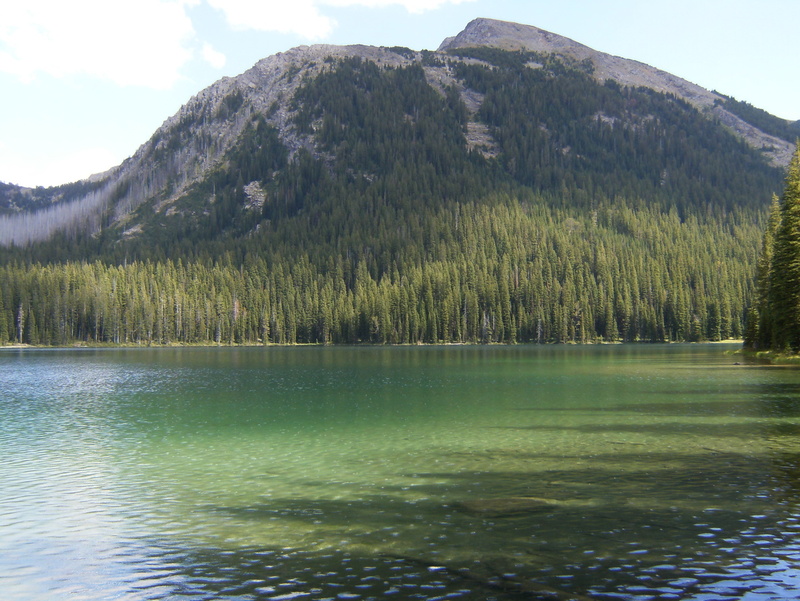 Heading to the A-P Wilderness is less than a month–what was your experience going from Oreamnos to Sawed Cabin Lake? I’ve read in several places that the bushwhack is steep but not that bad, but haven’t seen anything more descriptive than that. Would love to hear anything you have to say on the matter. We didn’t find a cabin at S.C. but it was pretty neat to be there. 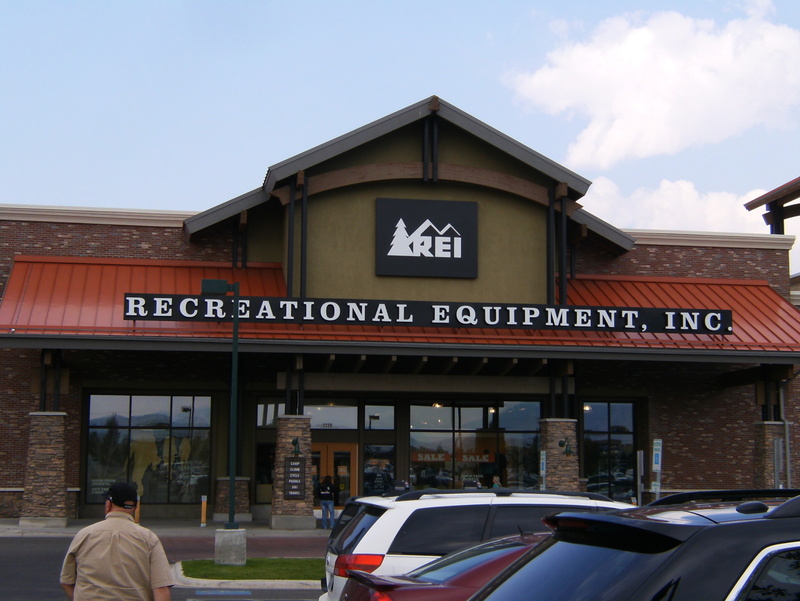 Look for the gigantic log near the outlet – I think it was about 5 or 6 feet in diameter. 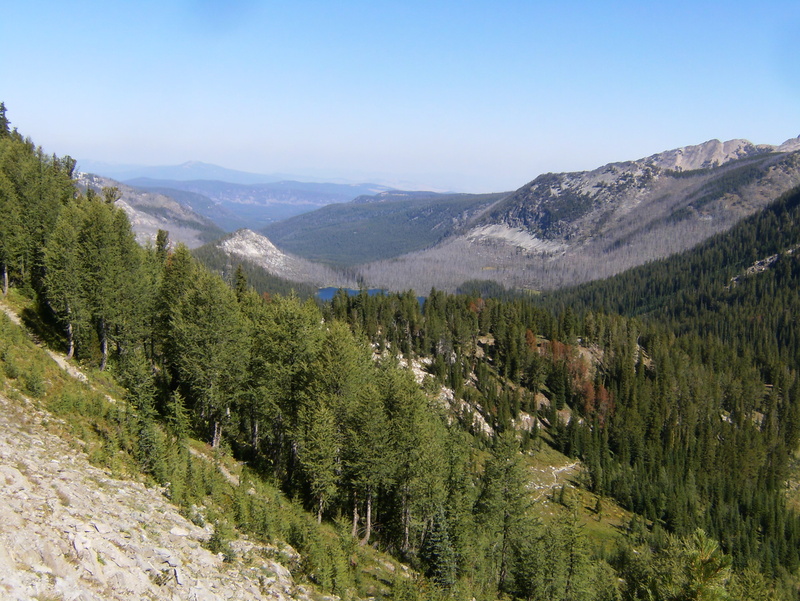 We took a pretty direct route on a trail SW from Oreamnos up to a saddle east of West Pintler Peak, then bushwhacked almost straight south down a very steep slope to the NW corner of S.C. lake. In hindsight, it was too risky. On the way back, we found a faint trail that ran from near the outlet of S.C and followed the contour NE to a drainage that we followed NW back up toward the saddle we came across on the way in. This was much less steep and risky. The drainage is visible on the USGS maps. You would follow it on the south side to the SE until you got down to about 8500′ and then start looking for trails going to the right. Make sense? Between your description and pictures and my map, it makes perfect sense. Thank you very much for taking the time to share this information with me. I’ve been on some gnarly bushwhacks over the years, so anything that makes life easier is much appreciated. Thanks again! You’re welcome. I hope you have a great time. I guess I shouldn’t be surprised! I found out later that SCL is only 9 miles from the Pintler trail head in the south so that’s doable in a day for some people.